Watermelon, ice cream, corn on the cob. Check. Cold beer. Fresh-squeezed lemonade. Check. Then there’s hot tea. Probably not the first thing that comes to mind for hot summer days. But it’s a real treat if you stick with lighter white teas, greens and oolongs or Champagne-like Darjeelings. Want to liven up your next barbecue? Try serving tea with just the right cheese and you’ve got a refreshing snack that surprises your guests and takes things up a notch. Most people naturally head for wine or beer with cheese for any occasion—winter, spring, summer or fall. (Indeed, there are lots of tasty combos out there). The much less famous duo of tea and cheese also happens to be a time-tested, dynamic marriage, with plenty of combinations to explore. The nature of tea and its many terroirs is, in fact, arguably more similar to wine than coffee. Many of the basic principles of wine and cheese pairing also apply to tea: balancing astringency with fat, contrasting salty and sweet, or matching like to like. 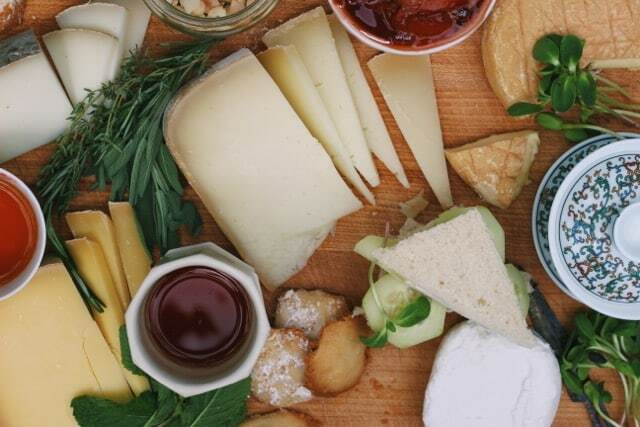 I’ve been lucky to sample a whole bunch of teas and cheeses with Jessica Sennett of Cheese Grotto in recent months as we prepare for this summer party in New York. Hot tea can have an incredible effect on cheese, compared with colder drinks, she observed. “The chemistry is fascinating. The warmth of tea can release a cheese’s underlying flavors and aromas in a very powerful way,” she added, “while the creaminess of cheese helps round out bitterness or astringency in tea, bringing fruity, nutty, or floral notes to the forefront.” My cousin, Katie Rose, a cheesemonger in Portland, also once told me that you can sometimes taste the grass, hay or wildflowers in cheese; it’s in the milk from whatever the cow, sheep or goat was eating. That was a revelation for me—one that’s changed how I’ve tasted cheese over the years. What better way to highlight that than with tea—itself a leaf and ultimately, a botanical infusion? There are oodles of possibilities for pairing tea and cheese throughout the seasons. Here are just a few to whet your appetite from the first signs of summer through the hazy days of August. White tea with milder, creamy cheeses. The least processed type of tea, whites tend to have a clean, delicate flavor—not unlike drinking from a cool, mountain spring, with hints of grass or flowers. Most cheeses are likely to overpower white tea. Try a Buffalo mozzarella or ricotta with drizzles of honey. In the mood for fondue? Consider raclette—a great melting cheese, traditionally served with wine, beer or tea in Switzerland. Greens with fresh goat cheeses or cheddars. 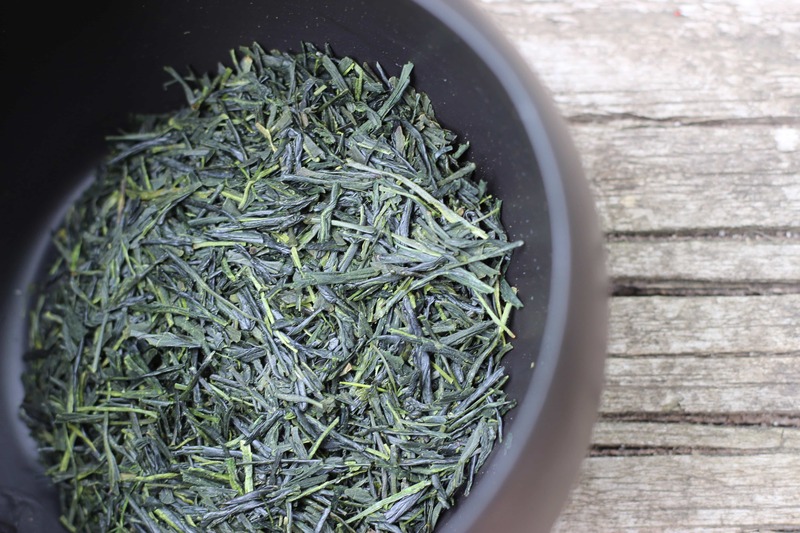 The seashore-like umami of a Japanese Sencha and its refined grassy flavors marry well with a tangy goat cheese, which tends to brighten the tea and round out its vegetal qualities. It’s a classic combination, with Sencha often spotlighting underlying notes of grass or wildflower in a goaty round and taming its saltiness. Think lemons, wide open fields, calm seas. Chinese green teas are often a bit more robust and better able to handle the sharper, nutty depths of a good cheddar. Lighter to medium-oxidized oolongs with French sheep’s milk cheese. My own personal favorite, oolongs run the gamut from lighter floral varieties that more closely resemble green teas to more heavily oxidized ones, which can feel akin to black tea. What’s amazing about oolongs is that you really are tasting the presence of milk and flowers in some of the lighter ones, or often honey and stone fruit flavors in cases where the tea is more heavily oxidized—there’s no flavor added. It’s all inherent in the leaf and changes over the course of many steepings for different oolongs. A creamy, floral oolong like a Bao Zhong with notes of honey and fragrant lilac or orchid can pair exquisitely with a French sheep’s milk. As Jessica mentioned in one of our tastings, “a light oolong draws out the milky quality of cheese” while a sheepy cheese grounds the headiness of an oolong’s more delicate floral bouquet. Darker oolongs with notes of peach, apricot, raisin, plum and/or honey are great for later summer and early fall, and can stand up to some funkier, washed-rind cheeses, sometimes underscoring less obvious fruit or floral notes in stinky varieties, and mitigating earthy, mushroom-y flavors. Darjeelings with soft, creamy cheeses. If you find yourself craving black tea, Darjeelings are a fine choice for warmer months, especially a crisp first flush, which often hits bright muscatel, lemon or other fruit and floral notes. It’s also the darling of classic afternoon teas for a reason—it goes extremely well with richer cheeses like Brie (the fat tends to curb the tea’s astringency) or refreshing cucumber sandwiches with a thin layer of cream cheese. Heartier second flush Darjeelings can take on a nuttier Comté or even a blue cheese, and are a beautiful way to greet fall, especially if you aren’t quite ready to say goodbye to summer. Do get to know your local cheese shop and don’t be shy about asking for samples—a little bit goes a long way. And don’t forget to stop and smell the aromas of different teas and cheeses. You might discover something new this summer! Rachel Safko is a tea specialist and journalist, who writes about everything from ancient Chinese Yixing teapots to French couture. Some of her most recent features include a cover story about the Swedish art of the coffee break for Edible Manhattan and tea and food pairing for Fresh Cup Magazine. She lives in New York, where she hosts tea tastings with local chefs, restaurants and other culinary experts. Read more at www.rachelsafko.com or follow her on Twitter @rachelsafko for small things you can do to make life more luxurious. Well, I love tea and I love cheese. So no prize for guessing how happy I am reading this blog! 🙂 I love white tea and the one that I get from Halmari has a delicious flavour and aroma. As the taste is very mild and delicate, a stronger taste can overpower it. But yes, now I know which should I have and also serve my guests. Thanks for the post! Dear Robert, So glad you enjoyed it. I’m sorry to say that I won’t be at the Expo this year, but strongly encourage others to attend. I well remember your tea and desserts session from last year, and know this will be just as sublime. I’d love to see the pairings at some point! 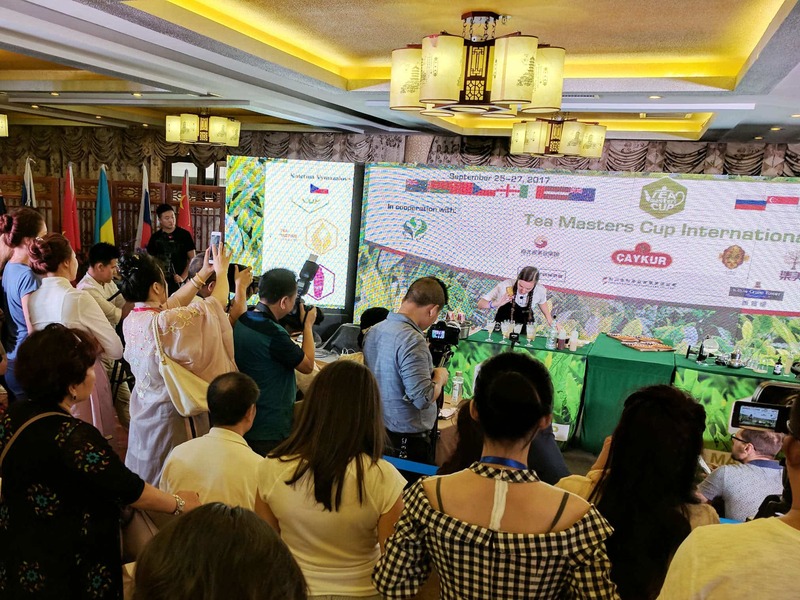 Love your tea and cheese post; will I see you at my presentation next Friday 11 am at World Tea Expo with a fresh new batch of stellar pairings? / Hope so. if so, please say hello.